Spruce (Picea): growing, planting, caring. There are many forms of spruce, including the common spruce, the one we use as a Christmas tree! 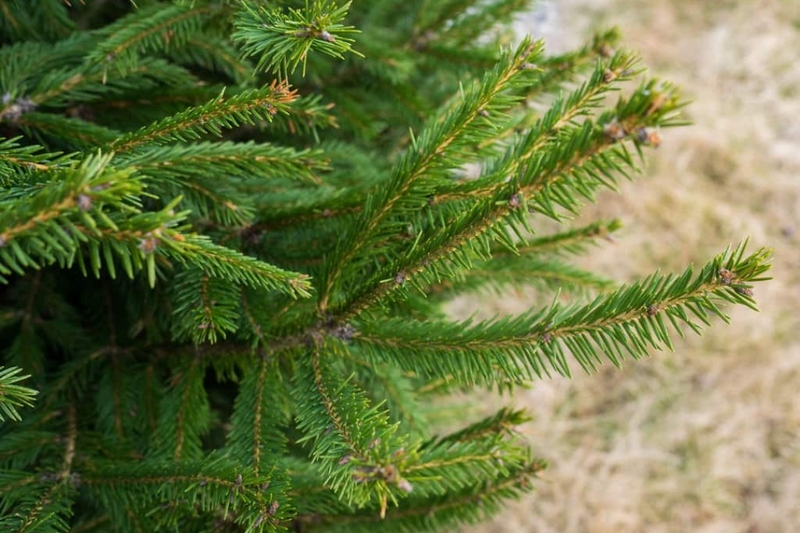 If you have successfully replanted your Christmas tree, chances are it is actually a Norway spruce. Spruces are conifers that prefer the regions with harsh winters. Depending on the species and variety, the spruces have different shapes, some very compact, and others very erect, they can have the size of a shrub as well as a tree of high forest. The needles are arranged all around the branch, and cause a stripe of bark to be torn off when they are unhooked from the branch. This makes it possible to differentiate them from the real fir trees whose needles begin with a small sucker. The female cones of spruces are first erected, then become pendent in winter. In comparison, in the winter the cones of fir trees have already released their seeds. The shade of spruces is often dense, and their litter of small needles retains moisture well, which unfortunately can't be used as mulch. Water your spruce the first year in the dry season, providing at least one watering can twice a week. In pots, wait until the soil is dry to water.